Roaches Holiday Cottages01538 300345work Self-cateringFamily-run farmhouse holiday cottages on the south-western edge of the Peak District National Park. Breathtaking views stretching over the valley and beyond. 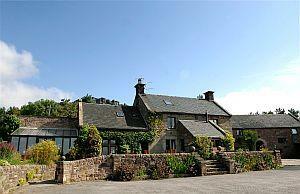 Two cosy cottages with open-plan living accommodation featuring stone walls and wooden beams.